Make a big city impression and serve the Dubai marketplace by getting a Dubai phone number. Even if your office is located elsewhere, you can establish a local Dubai phone number and have the calls forwarded to any country. 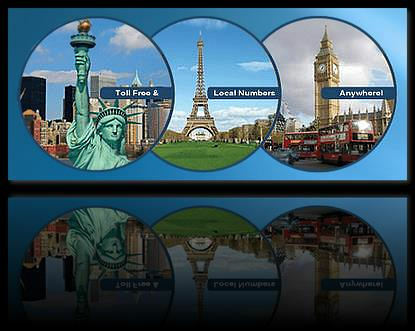 A Dubai Virtual Number will divert your calls to a cell phone, landline, fax, PBX or VoIP number -in any country. Why a Dubai Phone Number? The reasons are as varied as the business types that use the service worldwide. 1 A U.S. company may want to own and advertise a Dubai phone number because they provide services to Dubai. 2 Any company that does business in Dubai may want to own a Dubai phone number that accommodates their Dubai callers so as to remove any obstacles receiving calls from Dubai. Ordering a Dubai phone number with international call forwarding capability is an easy, cost-effective strategy that immediately places your business in Dubai with a local UAE Dubai Phone Number even if the calls are diverted to South Africa or anywhere else globally. International companies serving a Dubai UAE market. For instance, an India company could order a Dubai phone number for its India based customers to call instead of listing a traditional Dubai contact phone number. This simple step can eliminate customer concerns about calling Dubai due to international calling costs and other obstacles. A hospitality company based in the U.S. may want a Dubai phone number to make it easy for UAE partners to reach them easily in addition to having a local phone presence to compete with local Dubai contenders. Getting a Dubai phone number is an effective strategy that instantly creates an impression in the minds of Dubai consumers. 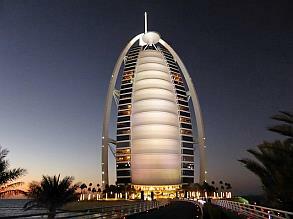 Obtaining a Dubai phone number is a simple matter of signing up for service. 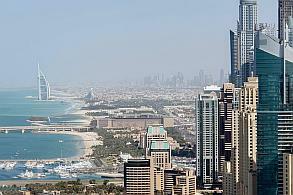 You do not need a physical location in order to establish a Dubai "office." By ordering a Dubai phone number with call forwarding, you can designate where you want the calls to be routed. Your "ring to" phone number can be located virtually anywhere. For example, you could receive Dubai phone calls in Brazil, Russia, China, South Africa, Indonesia, to a mobile phone or landline, PBX, call center or VoIP/SIP. Expanding your reach to Dubai and the UAE by setting up a Dubai local phone number that delivers Dubai calls to any country will assist in penetrating the Dubai market. If you wish to expand your business in the Gulf and have potential customers in Dubai, using international call forwarding you can receive the Dubai calls on any of your existing phone lines, mobile, landline, or PBX VoIP. In 2017 the broadband market in the UAE is one of the most advanced both regionally and globally. Prior to the fixed network sharing agreement introduced in late 2015; both incumbent Etisalat and alternative provider du operated FttH networks in separate areas – du in the Dubai free trade zones and Etisalat in the rest of the country. Besides FttH/FttP, other internet technologies available in the UAE include ADSL, leased lines, Wi-Fi, and mobile networks. The UAE government at both federal and emirate level has been proactive in the digital economy and digital media sectors, with programs to encourage computer and internet use. Like other countries in the Middle East, the UAE aims to transition into a ‘knowledge based and highly productive economy’ by 2021. This BuddeComm report provides valuable insights on the UAE broadband market and includes key trends and statistics. Etisalat has the largest market share of fibre broadband subscribers; Both Etisalat and Du continue to invest in and improve their broadband networks; Etisalat and Du reached a fixed network sharing agreement in late 2015 which will see them share the country’s fibre network.